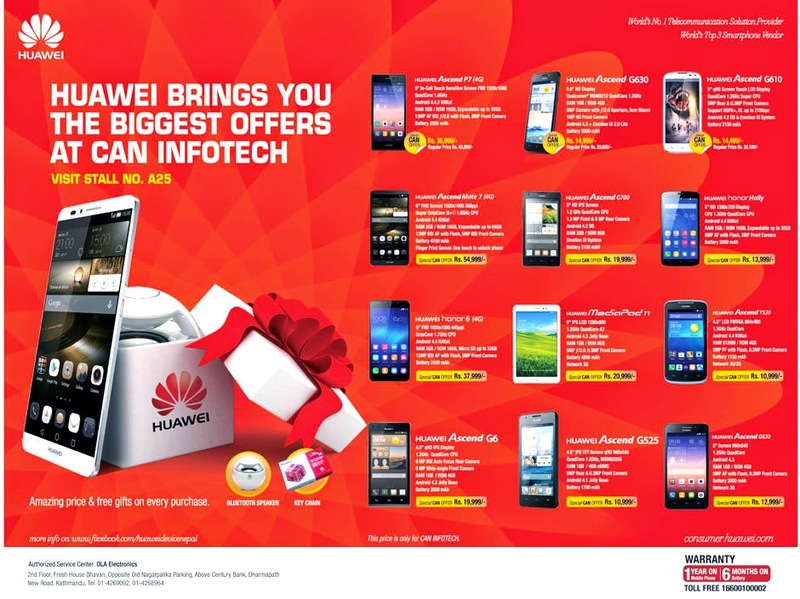 Huawei has introduced the biggest offers on the occasion of CAN Info-Tech 2015. They are offering upto NRs. 8000/- cash discount on different model of Huawei Mobile Phone. The offer is valid only for CAN Info-Tech. So grab the opportunity.